Transforming temperature controlled logistics with a customer first approach, delivering right first time, every time. Here at LF&E Transport we respect that as a prospective customer you have plenty of options available when choosing your temperature controlled delivery partner. Embedded in our culture is belief that personal relationships and partnerships are they only way to develop strong relationships that become mutually beneficial. Established since 2008, LFE Transport have consistently achieved profitable growth year on year. Since forming the company we have and continue to work for some of the largest pharmaceutical, medical, healthcare and clinical trial organisations in both the private and public sectors. Understanding that your business demands change, LFE Transport are flexible in their approach and are able to deliver on demand, including the same day if required. Being able to deliver to tight schedules to various locations with our skilled workforce and split compartment vehicle is no problem. With an established head office based in Leeds West Yorkshire, LFE Transport are centrally located in the United Kingdom and supported by six regional locations, including, Newcastle, Runcorn, Featherstone, Glasgow and Forres in Scotland and Belfast in Northern Ireland. Classing each customer as a partner, we respect the importance of your goods we are entrusted to carry. Through your initial negotiations and service level agreements, a dedicated partner point of contact is assigned to manage and control your day to day needs supported by a trusted team whose focus in customer satisfaction. Specialist couriers in the pharmaceutical, medical and healthcare goods, LFE Transport are geared up for high compliance and high service delivery with dedicated vehicles just for these sectors, avoiding cross load contamination. 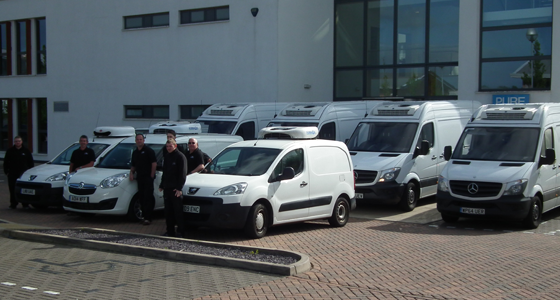 We also have a separate fleet of vehicles serving the food and food processing industries. It is important your refrigerated courier is an ambassador for your company, a high quality service provider and a great problem solver. Because if your goods don’t get where they need to be, think of the client implications of that. We provide all our customers with a guaranteed service standard — or your money back.